So what if it’s a rainy day. 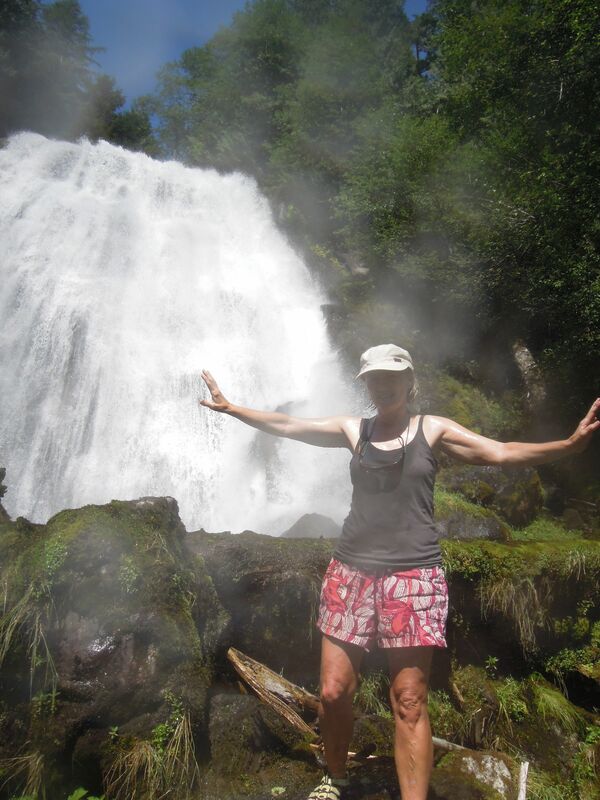 A great day for a hike into the Skookumchuck Narrows. For the guys surfing the tidal flow, what difference does it make if they’re in the rain. They’re getting wet anyway. The hike into Skookumchuck is about an hour on a pretty decent trail. 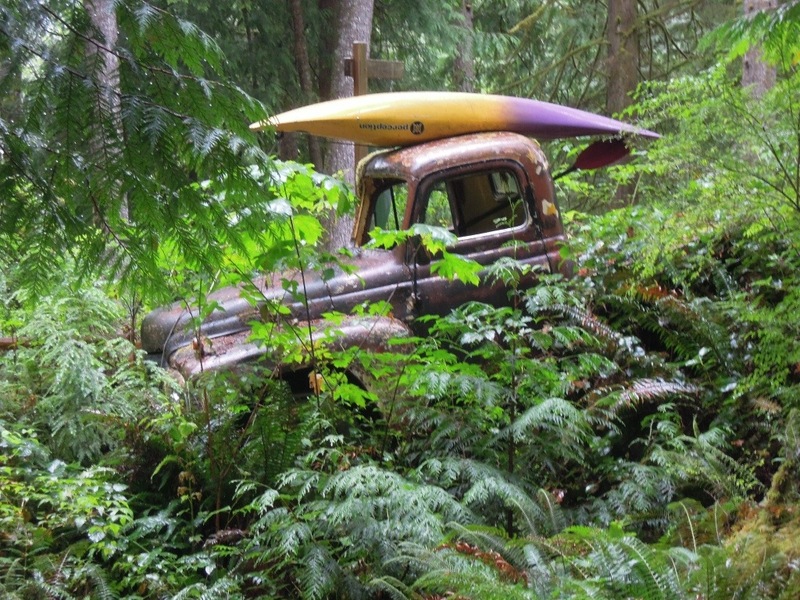 Driving in with your kayak on top might be a mistake. 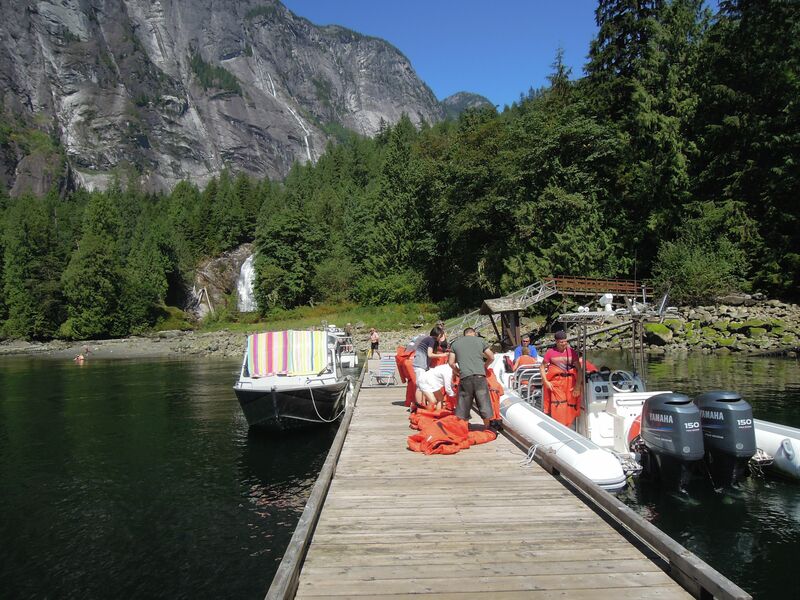 The trip up Jervis Inlet to Princess Louisa Inlet is great. It’s 60 miles by water from Secret Cove. 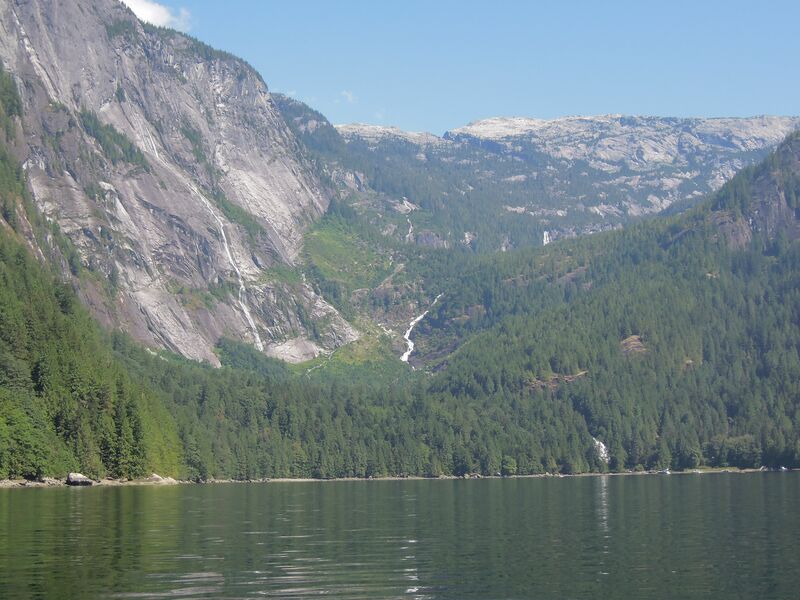 Princess Louisa Inlet itself is a remarkable place. 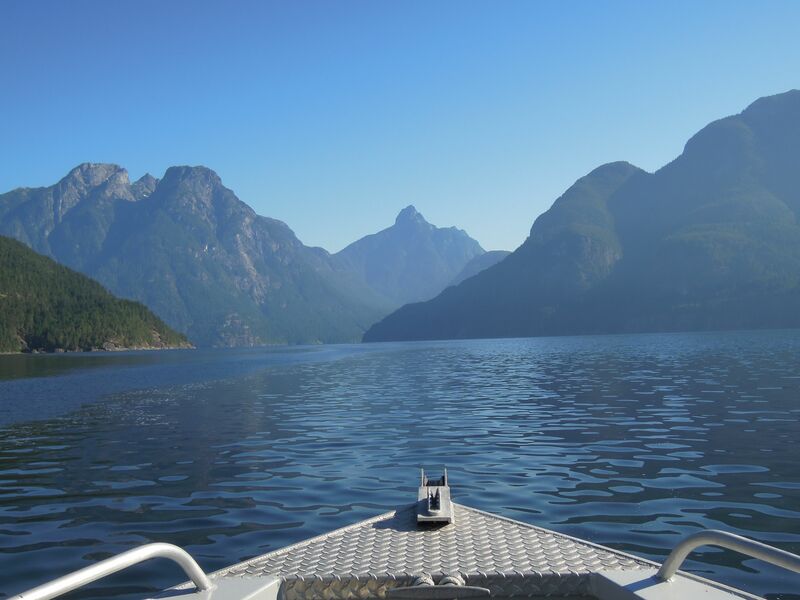 It’s a classical fjord with gorgeous waterfalls, good anchorage and a nice little sand beach at the end. 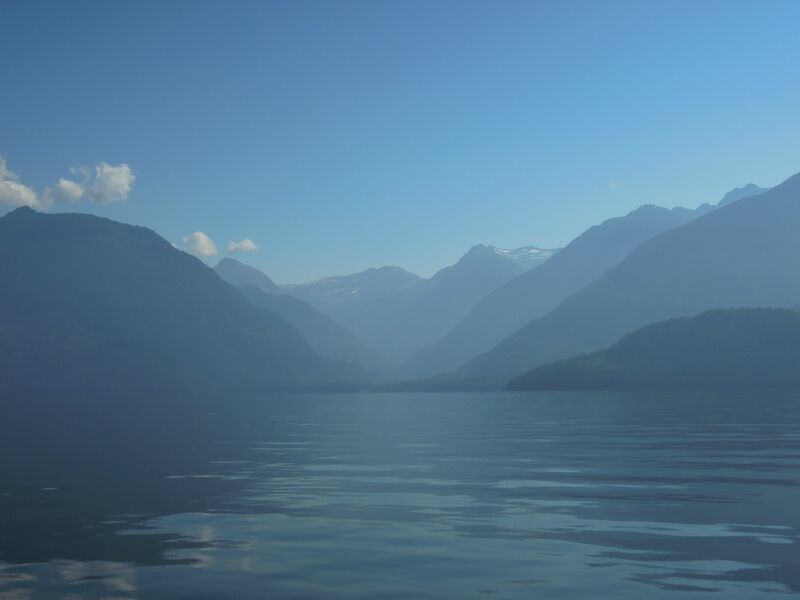 It’s a place that all British Columbians should see, but relatively few will. It was about an hour from Secret Cove to Egmont (at 21 mph. 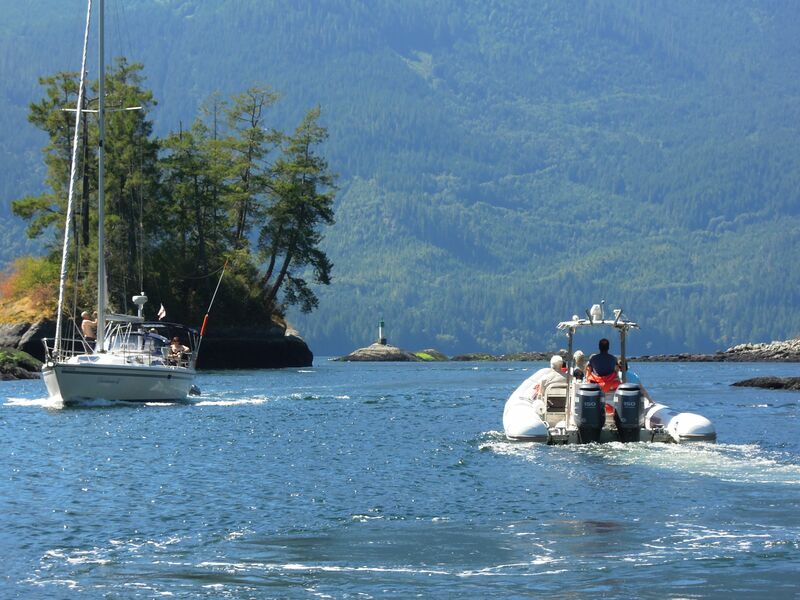 Now we’re eading up Jervis Inlet after leaving the gas dock in Egmont. This picture really doesn’t capture the drama of shading between the ridge lines. We made it! Chatterbox falls. There’s still lots of water flowing at the end of the inlet. If you come in June the water volumes are much bigger, with dozens of falls. 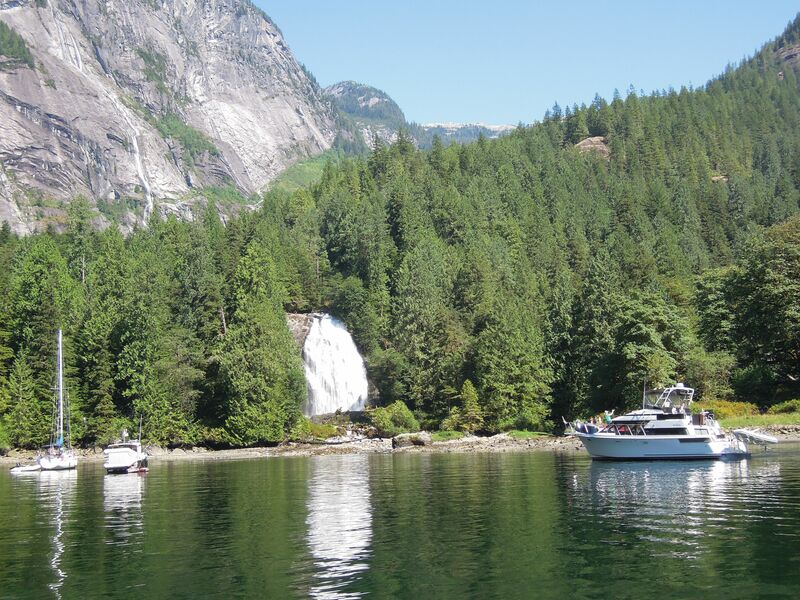 If you don’t get a spot on the dock you just drop your hook in front of the falls – sit back and relax. On a faster boat like this rigid haul inflatable these tourists make the trip up from Egmont in an hour. You’ll notice how the beach towels give our boat a class “cabin cruiser” look. 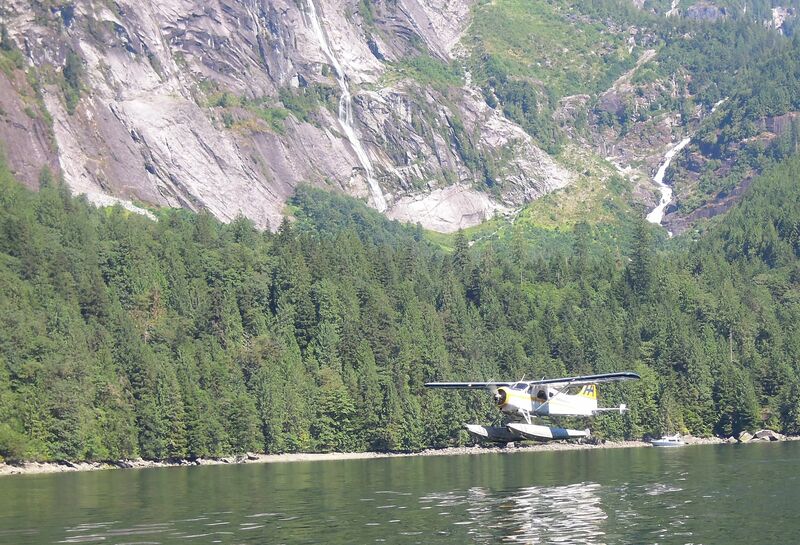 Float planes are in and out of here. This guys heading back to YVR south terminal after a quick visit. Heading Home. Leaving through Malibu Rapids on Slack Tide. Poverty is not so bad. Everyone else has a full galley. Some even have wine coolers. 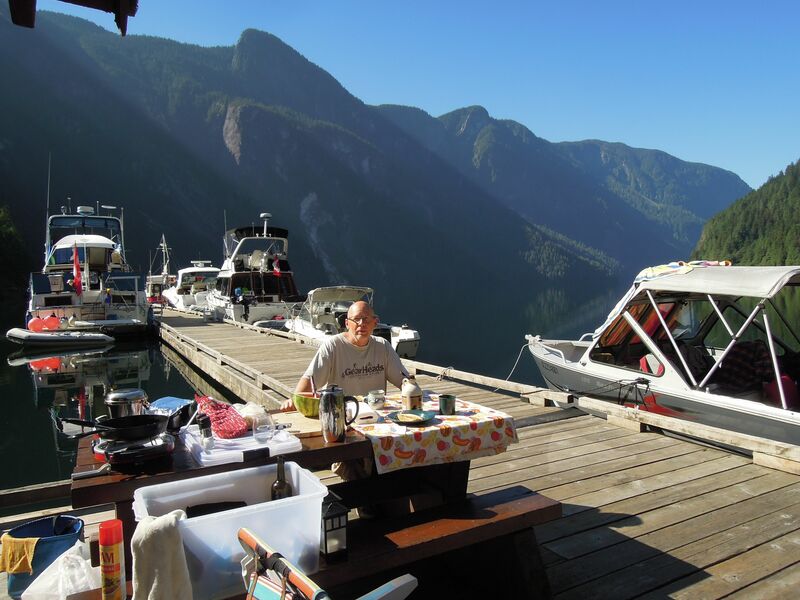 For us an open tin boat and an ice box provides the best spot for breakfast in the inlet.